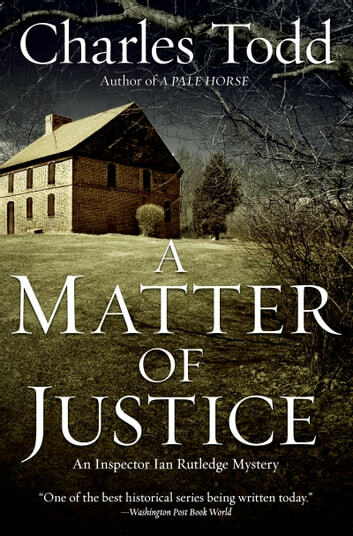 The Washington Post calls the Ian Rutledge novels by Charles Todd, “one of the best historical series being written today.” A Matter of Justice—the eleventh in the New York Times Notable, Edgar® Award-nominated, and Barry Award-winning series—brings back the haunted British police inspector and still shell-shocked World War One veteran in a tale of unspeakable murder in a small English village filled to bursting with dark secrets and worthy suspects. A New York Times bestseller as spellbinding and evocative as the best of Ruth Rendell, Anne Perry, Martha Grimes, and P.D. 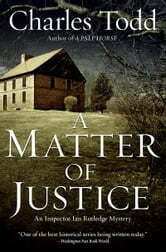 James, A Matter of Justice represents a new high for this exceptional storyteller. Great plot, twists and turns throughout the book. Great addition to an excellent detective series with its hero a former soldier now detective still living with the horrors of the trenches.